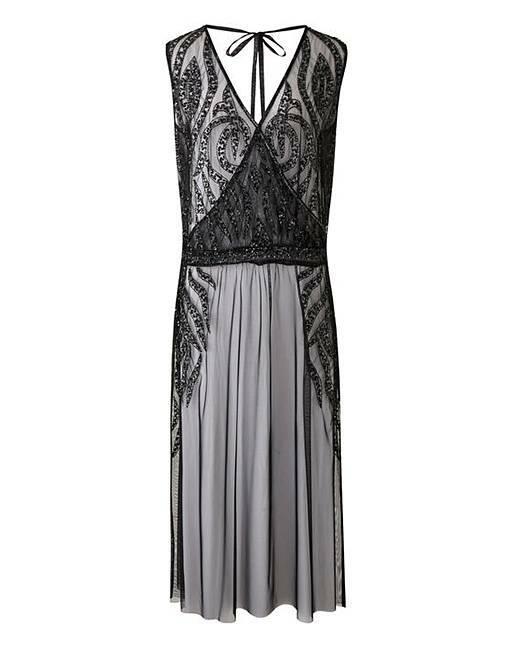 Shimmer in the Figleaves Curve jewelled maxi dress. This sheer maxi dress features sequin embellishment to front, hemline and shoulders and is guaranteed to give you a sparkly glow by the pool. It features elasticated waistband, deep V-neckline and crossover blouson detailing. Tie back fastening for a customised fit. Throw on over your favourite one piece and summer sandals.